With only about half of Hawaii’s high school graduates going to college, schools are placing more emphasis on career and technical training. Like thousands of public school students in Hawaii, Francis Toto Mailo spends at least part of his school day outside of a traditional classroom. On a recent Thursday morning, the 18-year-old was in “shop” class, engrossed in drilling screws into wood planks to make a table as he wore protective goggles. The Waianae High School senior, a linebacker on the football team, already knows where he’s heading next year: Southeastern Louisiana University. He wants to major in engineering, and knows if a professional football career does not pan out, the skills he’s picking up in construction class will come in handy. Students build a bench in a CTE construction class at Waianae High School. 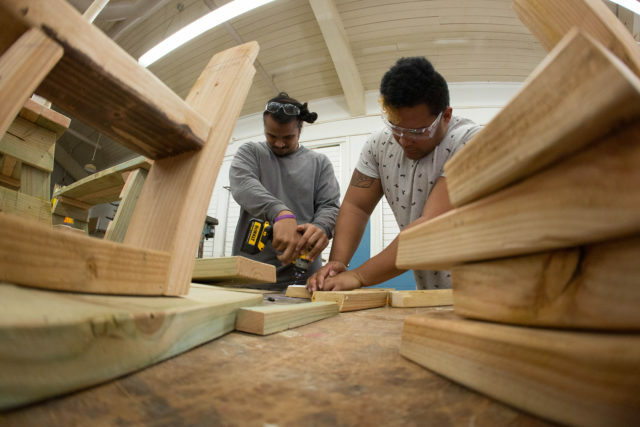 In Hawaii, career and technical education, once known as vocational education, is front and center on many educators’ minds as they envision kids’ futures and what they’ll do next. The statewide high school graduation rate is 82 percent, but only 55 percent of students go on to enroll in college, whether that’s a two-year or four-year institution. That means there’s hundreds of teens each year who, if not entering the military, need to enter the workforce. CTE, known more colloquially as “electives” to students, is offered in at least 43 public high schools, grouped here under six “pathways”: health services, arts and communication, business, health, industrial and engineering technology and natural resources. Reaching about 38,000 students statewide, CTE can include classes in construction, auto mechanics, culinary arts, design technology, computer science, or health, depending on the school and the resources available. It’s a mix of trade-skills training and more tech-forward learning. Because these classes are more hands-on and often involve collaborative projects, students learn valuable “soft skills” they can apply in many other contexts, whether or not they actually go on to specialize in that area for their careers, teachers say. 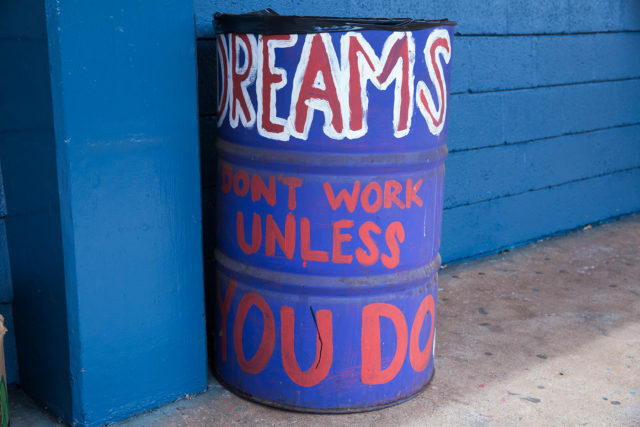 “Let’s be realistic, the majority (at Waianae High) are not going to go to college so let’s prepare them for work. That’s why we’re beefing up CTE — it’s relevant to job training,” said Candy Suiso, program director of Searider Productions, the school’s well-regarded multimedia program. There could be another plus to vocational education: students who develop competency in a subject area graduate from high school at higher rates, statewide statistics show. In the 2013-14 school year, 82 percent of students in Hawaii graduated from high school. Among so-called CTE concentrators, the graduation rate was 99 percent. Mailo, the aspiring pro football player, may already have his immediate post-high school plans squared away, but the same can’t be said for many of his peers. Hundreds of Hawaii kids who graduate each year don’t go onto the military or college. At Waianae High in the rural Leeward side of Oahu, many students go straight into the construction industry, according to teachers. Nicole Ferriman looks over the shoulders of her students in a culinary arts CTE class at Waianae High. “It’s the culture — that’s what they view success as,” said culinary arts instructor Nicole Ferriman, noting the number of family construction businesses that can immediately put these kids to work and pay wages after they’re done with high school. Among the 20 11th-graders in her introduction to culinary arts class — a CTE class that doesn’t just involve food preparation, but lessons in fractions for measurements — about eight have a plan for after high school, according to Ferriman. A 2006 graduate of Waianae High, who previously co-managed the gourmet cupcake shop, Hokulani Bake Shop, Ferriman said she uses her own experience to convey to her kids what’s possible for their futures: “A Waianae girl who went to college and came back,” as she puts it. The renewed emphasis on CTE education in recent years follows a sustained decline from 1990 to 2009 as schools nationwide changed graduation requirements to prioritize core academic areas like math and science. The idea was to encourage students to get a four-year college degree, according to a recent Brookings Institution report. But career and technical education is making a comeback with many states funneling more money toward such training. More than $1 billion was distributed to U.S. schools in 2016 for career and technical ed through the federal Carl D. Perkins Career and Technical Education Act of 2006. Hawaii in 2017 received $5.5 million in federal funding for CTE education, adding to the tens of millions it receives in state dollars. But local educators feel Hawaii policymakers could do more to encourage CTE education, starting by making it easier for industry professionals to obtain teacher certification. Leeward Community College is currently the only college in the University of Hawaii system that offers a CTE teacher certification program. At a recent Board of Education meeting, Shaun Kamida, a social studies and agriculture teacher at McKinley High, said CTE is “a dying program in the state” in which no replacements are available when an instructor retires. More than 50 percent of students enroll in CTE classes at Waianae High. Only about a third of graduating seniors go on to post-secondary education. Teressa Shimizu, a teacher at Farrington High School, stressed the importance of CTE education given the school’s 50 percent college enrollment rate. Lisa Morrison, a teacher at Maui Waena Intermediate School, said the state has poorly funded CTE education, which she believes should start even before high school. 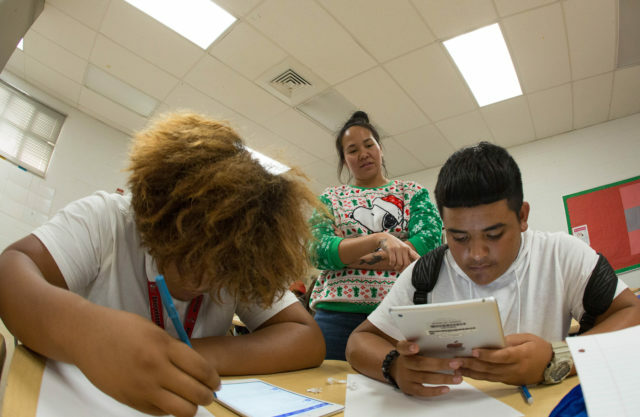 The Hawaii Department of Education has touted the state’s double-digit gains in AP enrollment. Hawaii also has something called the “55 by 25” initiative that aims to have 55 percent of working age adults in Hawaii have a college degree by 2025 (right now, that percentage is 44 percent). According to Mike Barros, CTE educational specialist for the DOE, career and technical ed fits into the college readiness movement: the goal is to get students enrolled in some form of post-secondary education. CTE in high school mostly points to community college programs, which have their own CTE offerings, he said. He acknowledged that finding qualified instructors is an ongoing challenge. “I knew I couldn’t sit in a cubicle, I had to be moving around and on my feet,” he said. Francis Mailo, 18, says being a dock laborer is his “backup plan” to having a professional football career. An automotive technology class whet his interest in the auto mechanics field. In shop class, he got to work with his hands, move around. That experience eventually led him to LCC, where he got an associate’s degree in applied sciences. He had a career working as an auto technician at a Ford dealership in Honolulu for 16 years. Now, the 37-year-old is back on school grounds — this time, as an instructor teaching auto mechanics to high-schoolers at Leilehua High School as part of its CTE program. 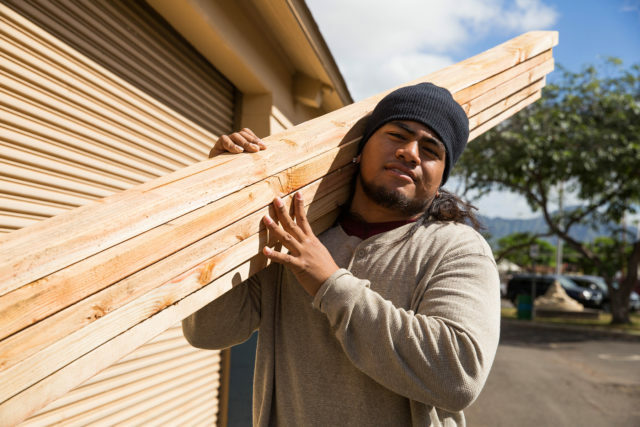 While he doesn’t have a bachelor’s or teaching degree, Sarsona has a teacher’s permit and is enrolled in the CTE licensure program at Leeward Community College. At Waianae High, where nearly three-quarters of the student body qualifies for free or reduced lunch, about half of its 1,750 students take some kind of CTE class. For a school that most recently graduated 72 percent of its seniors and where only 35 percent of students continued to post-secondary education, these elective courses may turn students on to opportunities they might not otherwise have contemplated, say school leaders. Michael Kurose, a school vice principal, said those who enter post-secondary education are often the first in their families to enroll in college. Many of the kids’ parents — who didn’t have the best academic track record of their own, he noted — have the expectation that a high school diploma is good enough for their children. “They have an abstract notion that college is going to be important for them, but it’s not based on anything concrete,” he said. Suiso, the Searider Productions director, believes that all students should aspire to go to college — not just to obtain a higher degree and position them for possibly a higher-paying job one day, but to open their eyes to new people, experiences and perspectives.